Team spirit was alive and well at the West Roxbury, Ma. 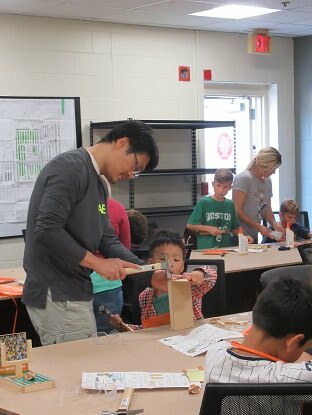 Home Depot on the first Saturday of September, the Kids Workshop was in session! 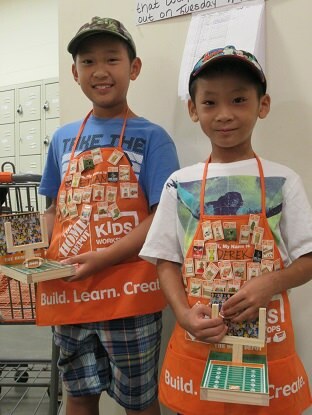 Teams of all sizes marched into the KW workshop in a uniform of big smiles and tiny aprons. 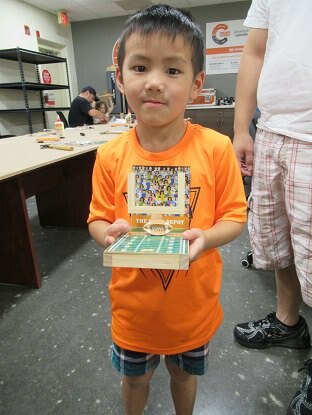 Although the temperatures soared into the 90s, the thoughts of cool fall days and football are never far away in the minds of New England football fans; there was much excitement when the little builders saw the September KW project. 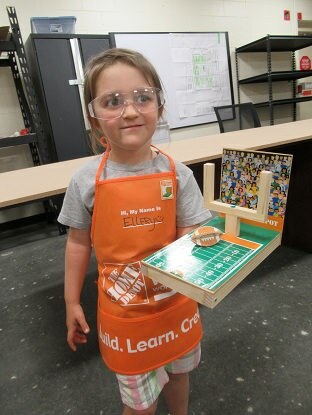 The field goal project had many steps and took team building co-operation to build it, “You hold the board in place, I will start the nails and then you can finish hammering them in place” one mom told her little builder. 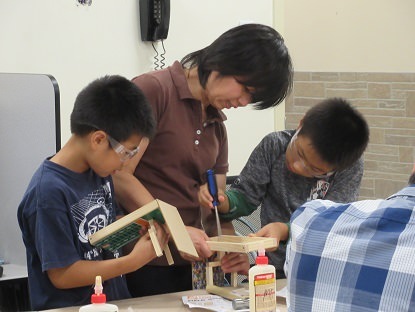 I watched one mom instruct her team of two little guys to, watch and learn…she demonstrated how to execute the construction of the goal post and then she took it apart and had her little builders do it themselves with help from each other….that was great coaching! 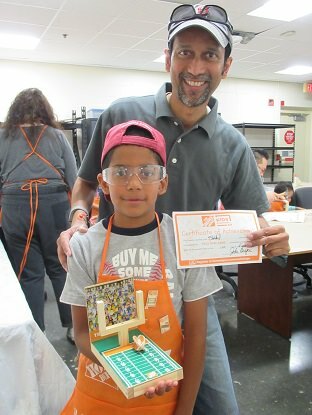 The Kids Workshop team captain John was feeling a bit under the weather on Saturday morning and he asked me to step in and relieve him so he could rest at home on the sidelines. Taking Care of Each Other, Taking Care of Our People and Doing the Right Thing….. are all part of the Home Depot core values. 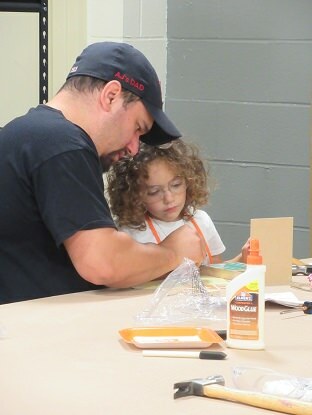 When our veteran team captain John needed to step out, there was a team ready and willing to step in and help with the Kids Workshop. 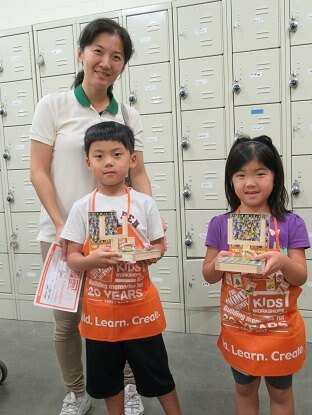 Crissandra from the flooring department and Emma from the paint department (total team players) stepped right in to help and assist our teams of tiny builders complete their monthly project. Being on a team is part of life right from the very beginning, when you are born you become part of a family…no matter what the size or the amount of members, family is team one! As you grow and go to school, from nursery school through college you join, or are assigned to many teams, whether you like it or not. Being on a team makes you accountable for your actions, introduces comradery, and starts the building of friendships that may last a lifetime, that is one of life’s greatest goals, good friends. 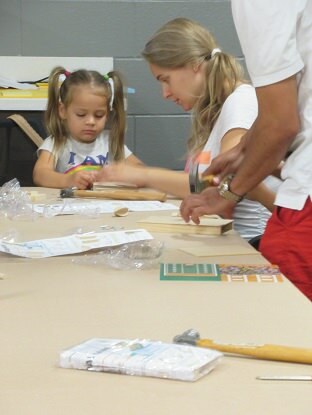 The teams of tiny builders that arrive monthly with their coaches have started a practice play for life; they come on a scheduled day, work together with their team and all the other teams at the workshop, they are challenged with a project to complete. The outcome is always positive…it is a win-win, a total score for all who are involved! 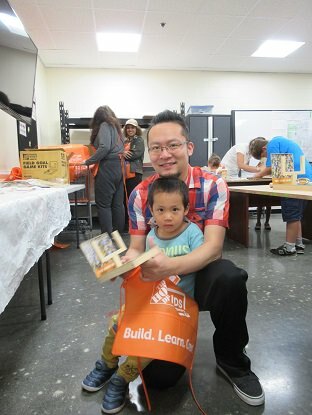 The Home Depot also has core values that promote Building Relationships and Giving Back to our community. 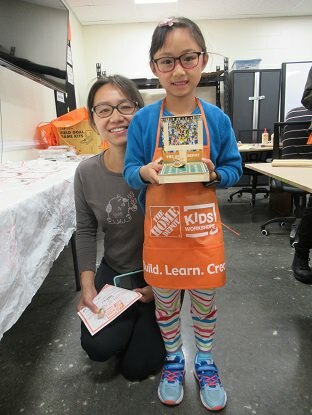 It was a pleasure to be Kids Workshop captain for the day and be a witness to all the winning teams! 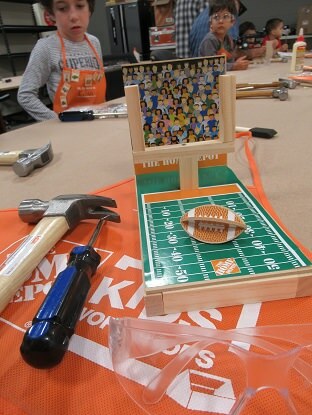 Join a great team on the first Saturday of the month at your local Home Depot! 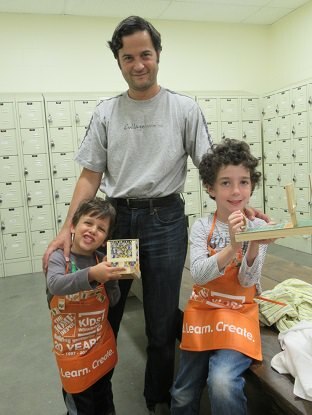 Kids Workshop happens rain or shine, grab the hand of favorite little team player and stop by! 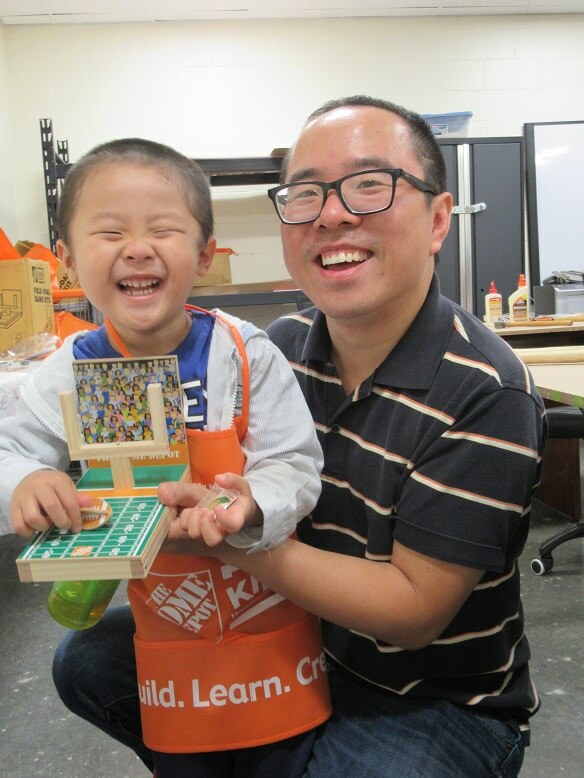 Join a winning team; check out all the employment opportunities the Home Depot has for you! The workforce team is a team that we join for the longest part of our lives; Home Depot is a team that I am proud to be part of, not only do I work for a company that has core values that respect all and give back; I work with an incredible team of people and have scored a lifetime of friends, the greatest goal of all! 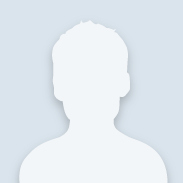 Well wishes to John our KW team captain, you were truly missed! Best of luck to Stephanie a team member forevermore!